Seydel protects your harmonicas....all 14 of em! 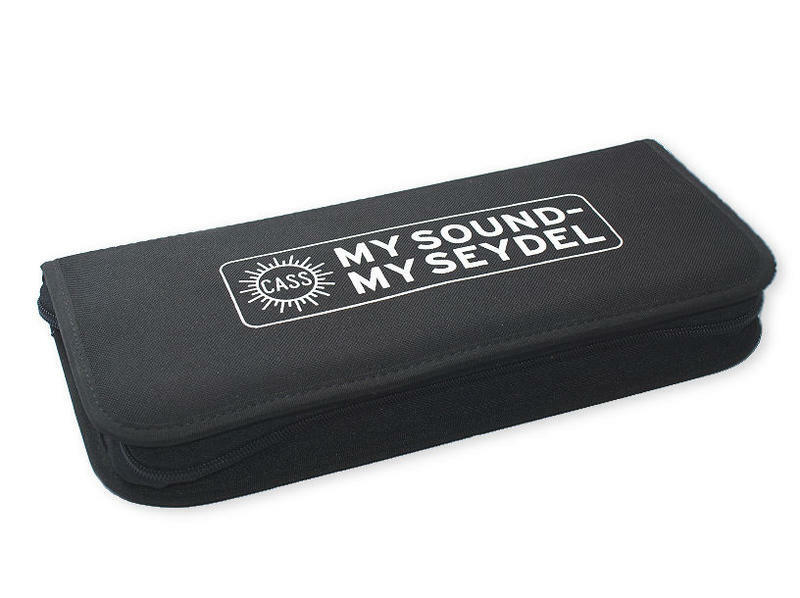 This tough black Seydel Softcase holds 14 diatonic harmonicas. It has outer zip with Seydel logo on one side. Seven harmonicas are stored in strong elastic fastens each side and it has a padded insert in the middle to protect the harmonicas. A must for any Seydel harmonica fan.